It is time to decide bridesmaid dresses for your fall wedding! 🙂 Or for many brides, they already have! You want your best girls to stand out on the big day in best way? Then choose a great bridesmaid dress style for them. 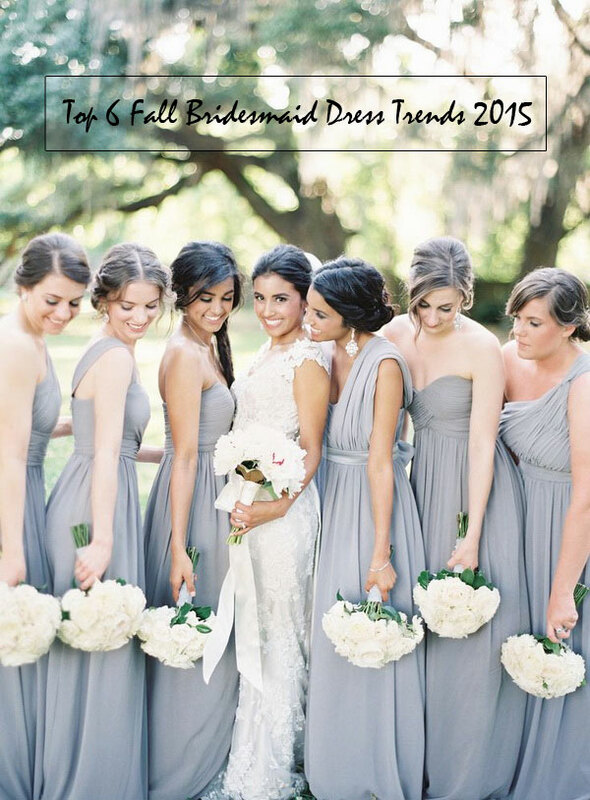 Here are top 6 most popular fall bridesmaid dress trends coming up this fall. Pick any style and your maids will love it! I have tiered of ruffled skirts, while this fall ruffles and layers have been moved up to bodice. The simple dress with clean lines creates a bohemian look for your autumn wedding. My fever for printed bridesmaid dresses will never fade away! This pretty style is perfect to re-wear for other parties. Your bridesmaids will forever grateful. 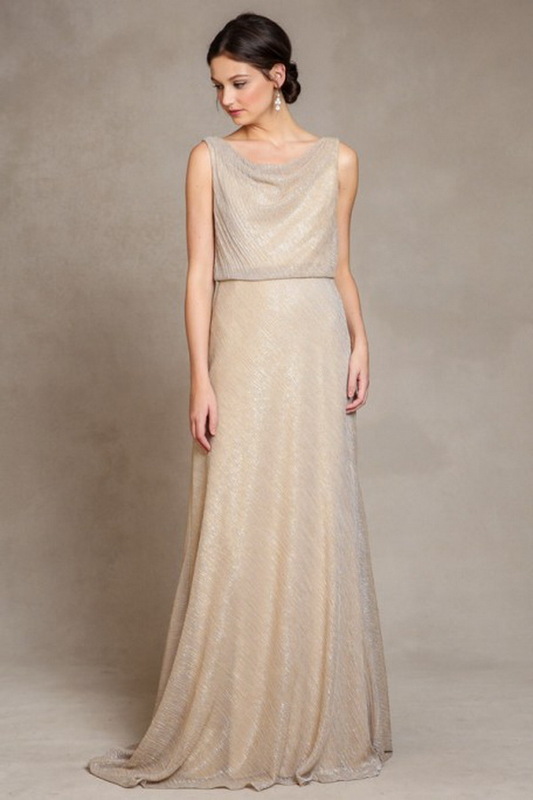 This fall metallic bridesmaid dresses are unlike previous styles. We just need a little shimmer. Dresses with lace also can be airy and light! With soft fabrics or transparent details, they are not the lace you knew. Bridesmaid dresses with illusion details are always popular and this fall it is still on the trend. Who will miss such light and flowing skirt? Thanks to the tulle fabric, these bridesmaid dresses will be quite comfortable for all day wedding.